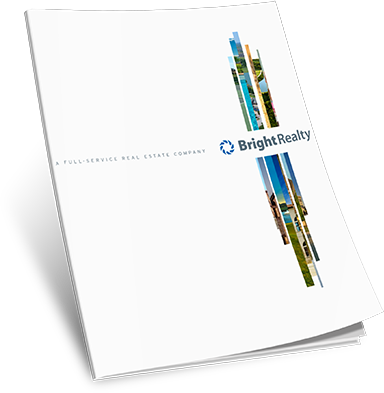 Bright Realty is a full-service commercial real estate firm based in Dallas, Texas, founded by the late H.R. "Bum" Bright, former Dallas Cowboys owner and businessman. Today, his sons, Chris and Clay, direct the real estate activities and 100+ employees within Bright Industries. Bright Industries began its involvement in real estate investments, lending and development in the 1950s with the construction of multi-family projects in Fort Worth. Within the last 60 years, they have been involved in billions of dollars worth of real estate lending through STM Mortgage Company, Trinity Savings and Loan, Bright Bank and State Bank and Trust. Additionally, Bright Realty has been either the development, equity, or lender partner in hundreds of projects including thousands of single-family lots, townhome construction, plus millions of square feet of retail, office and mixed-use leasing, development or lending. Bright Realty has been an active participant in construction lending to hundreds of properties as well. They have partnered with institutional investors such as Great West Life Insurance Company, Business Man's Assurance Company, as well as partnered or managed the development of premier properties such as the Sky Boxes at Texas Stadium, Dallas Cowboys headquarters facility and the Castle Hills master-planned community. Bright Realty currently has $48,000,000 in projects under construction and is planning an additional $170,000,000. The knowledge and background of the senior management team at Bright Realty is virtually unsurpassed in the industry. The team's diverse professional experience includes the southwest market challenges of the mid-80s and 90s, REO asset disposition and workout departments of major financial institutions as well as excellent knowledge of banking regulatory systems. Community involvement has been an important focus for Bright Realty with its continuous support of local organizations such as: Big Brothers Big Sisters of North Texas, University of Dallas, Texas A & M University, Children's Medical Center at Dallas, Highland Park Public Library, Lewisville Independent School District and Lewisville Chamber of Commerce. November 26, 2018 (Lewisville, TX) - Dallas is the first city in the southwest to implement Wired Certification, an international system from WiredScore that rates commercial buildings on infrastructure, technology and connectivity capacity. The Bright Realty team celebrated this accomplishment at Dallas City Hall with city officials and a handful of "DFW leaders in connectivity" on Tuesday, November 13. Bright Realty's Holiday in the Plaza brought more than 2,500 guests to its Castle Hills Village Shops on Saturday, November 24. The free event offered holiday-themed, family-friendly activities for residents and neighbors and brought potential new retail customers into the neighborhood shopping village. Bright Realty brokered the lease for Code Ninjas in Phase 5 of the Castle Hills Village Shops. The 2,606-square-foot space is located in the master-planned Castle Hills community in Lewisville at King Arthur Blvd. and Lady of the Lake Blvd. Code Ninjas offers programs for 7 to14-year-olds to learn coding with math, logic and problem-solving skills within a video game-based curriculum. Nick Miller and Britton Lankford represented the landlord, Bright Realty, in the transaction. The tenant was represented by Jake Burns of Structure Commercial. Miller and Lankford also brokered the lease for the 2,190-square-foot Generations Salon in Phase 2 of the Village Shops. Both new tenants should be open by the second quarter of 2019.